1) (Gristhorpe Filey, co. York). Ar. a lymphad sa. 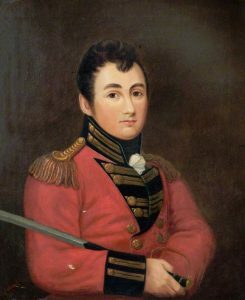 2) (Whitehaven, co. Cumberland, and Monkstown, co. Dublin, bart., extinct 1811; Gen. William Myers, third son of Christopher Myers, Esq., of Monkstown, was Col. 2nd West India Regt., Governor of Tobago, Commander-in- Chief of the Southern District of Ireland, and of H.M. Forces in the Leeward Isles, he was created a bart. 1804; Sir William Myers, second bart., fell at the battle of Albnera, 1811). Ar. on the sea ppr. an ancient ship at anchor with three masts, on each a single yard across, sails furled sa. colours flying gu. and az. an honourable augmentation granted to Gen. Sir William Myers, 12 June, 1804, to be borne by him and his descendants, and also by the descendants of his late brothers, Graham Myers and John Myers, with due diff. : on a canton of the last a baton or, and a sword also ppr. pommel and hilt gold, in saltire, encircled by a mural crown of the field. Crest—A mermaid ppr. the waist encircled by a mural crown or. Motto—Non dormiat qui custodit. 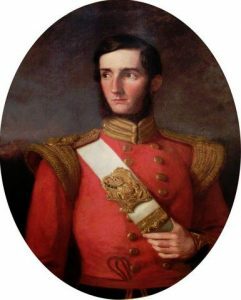 4) (Whitehaven, co. Cumberland, and Monkstown, co. Dublin, bart., extinct 1811; Gen. Willaim Myers, third son of Christopher Myers, Esq., of Monkstown, was Col. 2nd West India Regt., Governor of Tobago, Commander-in-Chief of the Southern District of Ireland, and of H.M. Forces in the Leeward Isles, he was created a bart., 1804; Sir William Myers, second bart., fell at the battle of Albuera, 1811) Ar. on the sea ppr. an ancient ship at anchor with three masts, on each a single yard across, sails furled sa. colours flying gu. and az. This is a primarily a North English (mainly found in Yorkshire) and Scottish last name with five origin theories. 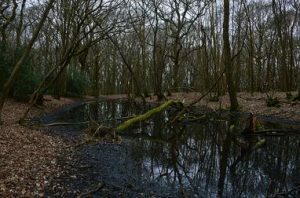 First, topographic surname meaning “at the mire”, denoting a person who live near a mire, which is a swampy or marshy low-lying land, or a bog, deriving from the Middle English words mire and myre, as well as the Old Norse myrr. The terminating letter S is common in short local names (ex. Brooks, Styles, Holmes, Greaves). Second, it could be a baptismal or patronymic surname means the “son of Mayor”, deriving from the old personal (first) name Mayer. Third, it may be an occupational name denoting a person who was mayor (or magistrate) of a village or town, dericing from the Middle English and Old French terms mair or maire, which both in turn derive from the Latin word maior, meaning greater or superior. In England and Wales, the position of mayor descends from the feudal lord’s bailiff or reeve, who were officers responsible for executing the decisions of a court, as well as other managerial, custodial, and oversight roles. Fourth, based on the Latin meaning, it may have derives from a nickname for a pompous person. Fifth, it may have derives from the Old French word mire, meaning physician (doctor), and hence would be an occupational surname. Sixth, in a considerable number of cases, bearers of this surname are of German, Dutch, or French (or Jewish) descent, having had their name Anglicized or Americanized when coming to the British Isle (or Canada) or the United States, respectively, whose ancestors more similar sounding surnames such as Meyer, Meyers, Meir, Mair, Maires, Meir, and others. Seventh, it is sometimes an Anglicized form of the Gaelic surname Ó Midhir or Ó Meidhir. One source asserts the surname was first found in Cheshire at Mere, a township in the parish of Rosthern. The place name was spelled 1086 AD as Mera, which was a survey of England and Wales ordered by William the Conqueror, a name meaning “at the pool or lake”. It’s also possible this last name originated at Mere in Wiltshire, spelled in the Domesday Book as Mere. According to the book A Topographic Dictionary of England, by Lewis Samuel, “the name of this place is derived from the Saxon word Maera, signifying bounds or limits, and indicates its situation on the borders of the counties of Wils, Somerset, and Dorset. In 1253, permission was given by Henry III to Richard, Earl of Cornwall, to build and fortify a castle on his manor of Mere, and the manor has ever since been attached to the duchy of Cornwall”. This family accompanied William the Conqueror from Normandy into Britain during the Norman Invasion of 1066 AD and their descedants held promimnent positions in county Staffordshire (ex. Wiliam de Mere was High Sheriff of said county, Peter de la Mere was Speaker of the House of Commons”. They held the manor of Maer in Stafford and also had lands and estates at Norton, in the Moors, as well as Larington in North Riding, Yorkshire, England. Common spelling variants or names with similar etymologies include Myer, Mires, Myres, Myars, Miares, Myeres, Maire, Mair, Maires, Meyers, Meire, Mayers, Meir, and Mere. Please be aware that we have separate pages for the surnames Meyer (66 coats of arms), Meyers (3 coats of arms), Meier (6 coats of arms), Mair (5 coats of arms), and Maire (2 coats of arms). Please use the search function above to explore these names as well. Miers is a Flemish version, Meyer is a German and Swedish version, Mayer is a German version, and Meier is a Dutch version. The last name Myers ranks 85th in popularity in the United Status as of the 2000 Census. The name ranks particularly high in the following six states: Pennsylvania, Ohio, Indiana, Maryland, Kansas, and West Virginia. The surname Isaac frequency/commonness ranks as follows in the British Isles: England (447th), Scotland (1,253rd), Wales (934th), Ireland (1,131st) and Northern Ireland (1,341st). In England, it ranks highest in county Yorkshire. In Scotland, the Myers surname rankest highest in county West Lothian. In Wales, it ranks highest in Pembrokeshire. In Ireland, it ranks highest in Louth. In Northern Ireland, it ranks highest in county Antrim. The name is also present throughout the remainder English speaking world: Canada (427th), New Zealand (999th), Australia (435th), and South Africa (1,835th). The earliest known bearer of this surname was Herewardus le Mire, who was listed in The Berkshire Curia Rolls in 1212 AD. David in the Mire was documented in the Close Rolls in 1295 AD. The Poll Tax of Yorkshire in 1379 AD lists four bearers of this last name: Henricus del Myre, Johannes del Mire, Willelmus del Mire, and Richard del Myre. Early marriages involving this surname include 1) Katherine Myers to Thomas Awsten in London in 1609 and 2) Trynian Myars to Ellyin Wright at the Church of St. Martin and St. Gregory in York in 1605 AD. Roger Mires and William Mires were recorded in the Preston Guild Rolls in 1642. The following three bearers were recorded in the Lancashire Wills at Richmond: Richares Myres (1670, Preston), Hugh Myres (1540, Docker), and Thomas Myers (1671, Preston). Thomas Borron Myers, Esquire of Porters Park, Hertfordshire, was Justice of the Peace for Hertsfordshire and Middlesex. He was born in 1826 and in 1856, he married Margaret Storie, daughter of Reverend Henry Melvill, Canon of St. Paul’s, and had six issue with her: William Joseph (1858), Dudley Borron, Reginald Maxwell, Eva Margaret, Gertrude Henrietta, and Blanche Georgiana. He was Lord of the Manors of Weald Hall and Shenleybury. The lineage of this family traces back to William Joseph Myers, Esq., Justice of the Peace and Deputy Lieutenant for Hertsfordshire, son of William Myers of Barlow Hill, who married Margaret, daughter of Nicholas Crooke of Homefield. He had three children with her prior to his 1858 death: Thomas Borron (of Porters Park), Charles (of Swanmore, married Henrietta Ashton), and Anne Mary (married George Fearnley Whittingstall of Hawkswick). A one Elizabeth Myers was born in Rothwell, Yorkshire in 1589 and she married Peter Pullon in 1612, having one son with him named Peter Pullan, born in 1603. A one John Myers was born in 1697 and he had a daughter named Martha who was born in 1737 in Pennsylvania. She married William Huddleston and had three issue with him: Elizabeth (Martin), Henry A. William, and Daniel. Aaron Myers was born in 1798 in Richmond, Virginia. He married Catherine and had two issue with her: Isabella and Myer Aaron Myers. His so Myer Aaron was born in the same city in 1822 and he married Isabella Pyle and later Grace Rosa Hart. He was the father of the following children: Isabella, Catherine Rosalie (Clark), Emanuel B., Aaron, Algernon Jarvis, and Henry. 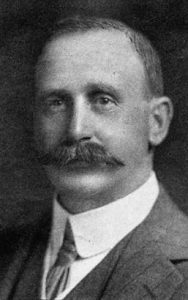 His son Algernon Myers was born in 1861. He married Ella Freeman and had a daughter with her named Helen. Helen was born in 1900 and married Aaron Simon. Early settlers in colonial America bearing this surname include John Myers (Maryland 1740), Manuel Myers (New York 1741), Manuel Myers (New York 1759), and Hyam Myers (New York 1759). In Canada, one of the earliest bearers of this last name was Andrew Myers, who came to the province of Ontario in 1784. He was a United Empire Loyalist (a person who did not support the Amercain Revolution and remained loyal to the British crown, many of whom came to Canada). In Australia, one of the first bearers was David Myers, a convict from Middlesex, England who came in 1817 aboard the Almorah and arrived in New South Wales (then a penal colony). In New Zealand, G.H. Myers came to Port Nicholson aboard the Mandarin in 1841. I researched the following three resources and did not find any coats of arms for Myers: Bolton’s American Armory, Matthew’s American Armoury and Bluebook, and Crozier’s General Armory. There are hundreds of notable people with the Myers surname. This page will mention a handful. Famous people with this last name include: 1) Alan Myers (1955-2013) who was the drummer from the new wave band Devo and was born in Akron, Ohio, 2) Michael Myers (1963) a Canadian actor for in Scarborough, Toronto, Ontario who is best known for his years of Saturday Night Live and his roles in the movies series Wayne’s World and Austin Powers, 3) Sir Arthur Mielziner Myers (1868-1926) who was a New Zealand politician that was mayor of Auckland from 1905-1909, a member of the House of Representatives from 1910-1921, and a Cabinet Minister, 4) Garry Cleveland Myers, who with his wife, started the children’s magazine Highlights in his home in Honesdale, Pennsylvania in 1946, 5) Henry Lee Myers (1862-1943) who was a United States Senator from Montana, 6) Jerome Myers (1867-1940) who was an American artist and writer associated with the Ashcan School known for his sympathetic depictions of the urban landscape and its people, 7) Leonard Myers (1827-1905) was a Republican member of the US House of Representatives from Pennsylvania during the Civil War and the early years of Reconstruction, 8) Sir Michael Myers (1873-1950) who was the sixth Chief Justice of the Supreme Court of New Zealand from 1929-1946, 9) William James Myers (1937-79, better known as George “The Animal” Steele was an American professional wrestler from Madison Heights, MI, 10) Richard Bowman Myers (1942) who was the 14th president of Kansas State University and a four star general in the United States Air Force, and 11) Brett Allen Myers (1980) is an American former professional baseball pitcher who was born in Jacksonville, Florida and had played four different MLB teams including the Philadelphia Phillies. One of the main heraldic symbols in the Myers Coat of Arms (mistakenly called the Myers Family Crest) is the ship or lymphad. We do not need to look far to find the symbolism in the presence of a ship in a coat of arms, they appear regularly in the arms of port towns and merchant companies and families. They usually appear as a three masted wooden vessel known as a lymphad but are often described in some detail as to the disposition of their sails, presence and colours of flags and standards and so on.